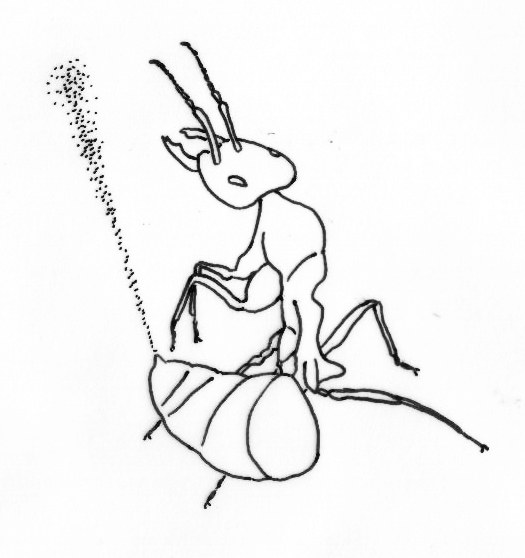 See also: Introduction to insect behaviour and control systems; the insect brain. colonies. However, fully social, or eusocial behaviour, only occurs in bees, wasps, ants and termites. termites are dictyopterans (the family Dictyoptera includes termites, mantids and cockroaches). termite queens living as long as 20-50 years. their own, and yet they will work, fight and die for their colony. What engenders such 'altruistic' loyalty? evolution acts to favour kin in this way, is called kin selection. closer than this, so evolution has favoured the development of strong social bonds in these insects. she produces more siblings for the workers, so the hierarchy works both ways! different tasks according to its age. This is division of labour. terms of manual and intellectual skills. muscles. The queen has an enlarged abdomen, grotesquely bloated in termites, for egg production. from the path of raiders, working like bull-dozers with their enormous strength and large clasping jaws. the left, but which are capable of disabling an enemy ant in a single blow! of termites also deploy toxic or irritating chemicals into the wounds they cause! passage which opens out abruptly into a chamber containing a giant ogre wielding two giant scythes! die before the ogre is finally slain. course for some species that may have few or no soldiers at all, or as a last resort, or as skirmishers. programmed to, rather than for any emotive sense of loyalty (presumably). releasing noxious chemicals in a similar way. These workers are rather like suicide bombers! lengths to react rapidly and overwhelm enemy scouts. is also an example of tool use. Kamikaze. Autothysis is known to occur in a Camponotus species of ant. like bits of debris or vegetation, but rob them if it is an appropriate food item, like another insect. 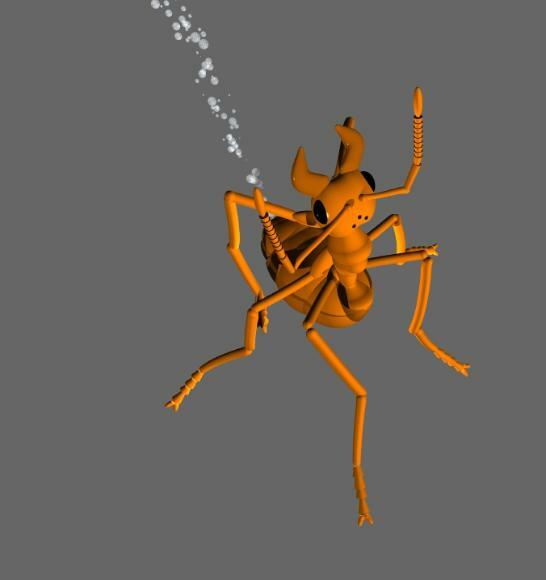 Sometimes these thief ants will attack in mobs, sometimes individually. into the brood chambers, steal the young and then rush out again. give these ants their names. These are individuals with massively swollen abdomens that store honey. exactly like fellow nest mates. against ants. 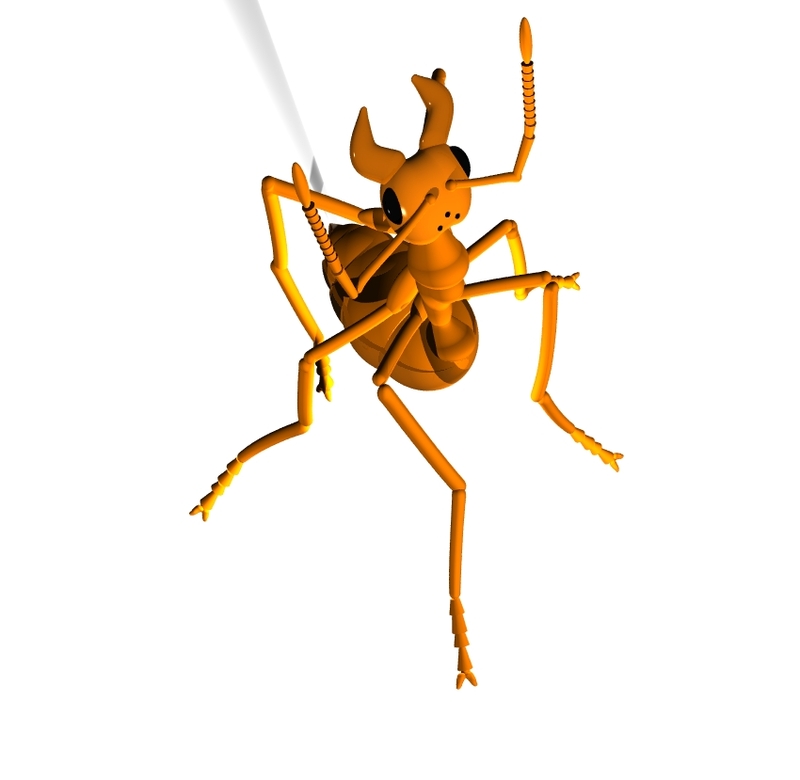 Some termites and wasps will associate their nests with those of Azteca ants in trees. 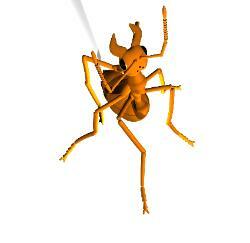 beetles associate with ants and termites by deceit, we shall look at these guests of the ants later. feet thick! It takes quite a large anteater to breach such walls. passages inside, such as those leading to the royal chamber. jaws on winged insect attackers by biting at the wing bases. destroy them, they will search for hours nearby to make sure no scout survives to report to base. Sometimes, however, one slips through and then the fire ants arrive in greater and greater numbers. completely and are busy evacuating the nest, taking the brood (eggs, larvae and pupae) with them. a new crop of soldiers in a month or two. continue to have multiple queens in a nest, allowing the nest to continue if one or more queens die. million queens and 306 million workers! simulate the spray (inset), but the more recent version uses more realistic bubble-like droplets). rest, these are the so-called 'elites'. The number of elites generally declines as nest size increases. 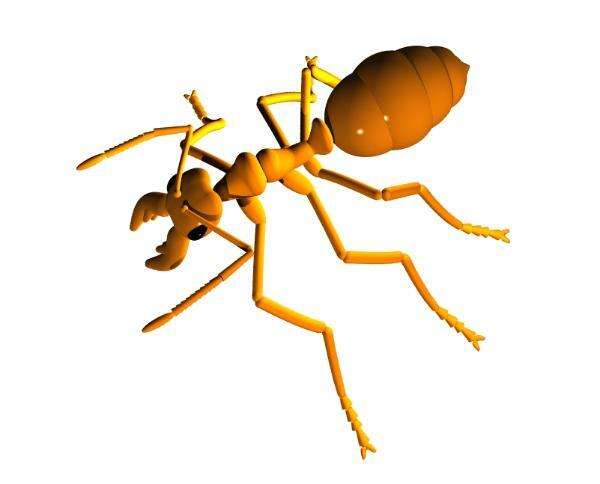 slave-making species are parasitic on other ant species; to be specific they are labour parasites. exploration, by Belknap Harvard Press, ISBN 0-674-48525-2. This book is a must for all ant lovers! hosts and their labour parasites. Animal behaviour 10: 96-104. Reproduction and the insect abdomen - includes a section on stings and trail-laying.